According to experts, OEMs and OMCs are preparing aggressively for BS VI, since the transition is now mandated by the Supreme Court. BS VI fossil fuels will be costlier and hence OEMs will be investing in improving fuel economy standards in their vehicles, says Neellohit Banerjee. FY 17-18 ushered in a new domain of BS IV emission regulations for commercial vehicles in India. With the advent of new emission regulation, there came advancements in product technologies such as common rail engines and a range of value added services offered by OEMs, which enabled the trucking industry to perform better and more efficiently. The industrial expansion especially road construction, urban and semi urban infrastructure, irrigation, industrial goods, consumer products and e-commerce led logistics business, combined with strict implementation of rated load norms across states, caused a major increase in demand for trucks. MHCV contributed significantly towards this growth story of commercial vehicles with the annual TIV clocking a staggering figure of ~ 2,65,000, the highest in last ten years. “FY 18-19 began with a stupendous growth for MHCV with Q1 figures almost doubling over last fiscal, albeit on a low base (as FY 17-18 Q1 had very low TIV due to initial supply issues of BS IV products from all OEMs) and Q2 too had a 25 per cent uptick from last FY with most of the key segments driving growth. Q3 saw a TIV de-growth of 13 per cent,” informs Rajesh Kaul, Product Line Head, Medium & Heavy Commercial Vehicle Business Unit, Tata Motors. M&HCV sales grew by 114 percent in April-May 2018.This was primarily due to very low base in FY 17-18 April-May, as BS IV had just set in and initial supplies from all OEMs were sluggish. “In addition, on the ground execution of infrastructure projects was driving growth in tipper segment,” adds Kaul. Rated load implementation in FY 17-18 across states saw a clear migration to higher tonnage nodes (35-40). However, post the axle load norms change there is a change tonnage shift happening in the industry. The payload threshold in MHCV space is still around 25-30T and with overload restrictions now being diluted in most states, except for southern ones, due to poor viability of transporters, the growth trend beyond 42T segments is likely to happen going forward with improved load availability. “The advent of new 48 and 49T rigid truck segments will see a migration from 42T (earlier 37T) segment backed by better operating economics,” says Kaul. The radical change in axle load norms enunciated in Aug’18 led to a slowdown in Q3 and similar y-o-y drop is expected to continue in Q4 with a little moderation. “Increased axle load passing of existing vehicles has increased the tonnage-km capacity of the trucks on road,” reveals Kaul. This, added with increasing fuel and tyre prices, liquidity crisis in vehicle finance sector, flattened freight rates due to overcapacity and freight competition, and delayed clarity on scrappage policy have led to a demand slump for new MHCVs. However, input credit on GST under forward charge have improved cash flows for GTA qualifying transporters. “NBFC liquidity crunch raised CV lending rates to 50-100 bps in Q3FY19, leading to reduced finance availability and lowered resale value of trucks (hurting replacement demand and thereby new sales),” says Hetal Gandhi, Director, CRISIL Research. Kaul observes, “BS VI will entail many changes in Indian MHCV space. There would be BS IV pre buying in Q3 and early Q4 to save on higher acquisition and operating costs, but not to the extent expected earlier due to overcapacity in the market setting in.” However, demand for new vehicles will be there from the organised freight segments, construction segments etc. BS VI fossil fuels will be costlier and hence OEMs will be investing in improving fuel economy standards in their vehicles. This is more accentuated in the upcoming Heavy Duty Fuel Efficiency norms – Phase 2, scheduled for enunciation from April 2021. In the upcoming fiscal, many regulatory changes have to be developed and implemented for which the industry is all geared up, for instance, Truck Body Phase 2 which may alter the dynamics of cabins and bodies in the industry. Powertrains and Drivelines shall undergo major upgrades in terms of performance parameters as the trucking expectations are going to scale new heights in BS VI regime due to fast improving physical infrastructure in the country. BS VI mandating SCR technology in all vehicles, fluid discipline will be critical and drivers, the most important stakeholder in the logistics business need to be trained thoroughly. BS VI will also entail introduction of more sophisticated controls in terms of emission and performance management. The service infra for those are being created. Training of mechanics and workshops across segments will also be a reality. The industry, as in OEMs and OMCs are preparing aggressively for BS VI as the migration is now mandated by Supreme Court. Aggregate partners are also gearing up for technology establishment and supply chain design. “Supreme Court has issued a clarification in October 2018 stating that BS IV vehicles will not be allowed to be registered from April 2020. The Supreme Court’s clarification in October 2018 has strengthened this cautious stance of OEMs. We believe OEMs to be prepared with BS VI vehicles by December 2019,” informs Gandhi. MHCV industry will see a strong growth from FY 21-22 when BS VI vehicles should gain prominence by sheer performance benefits outclassing the incremental costs, aided by introduction of new technologies to improve efficiencies. 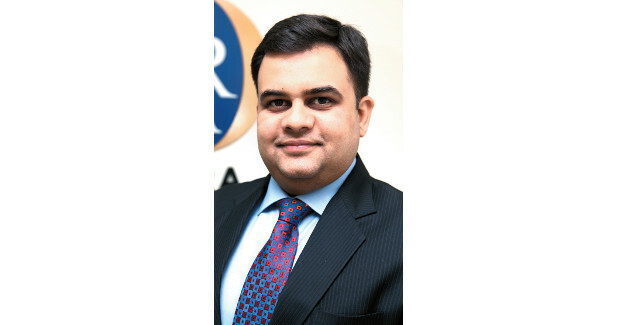 “Significant consolidation will happen in the industry and alternate business models like hire purchase, leasing, contract hire and truck rentals will see a rise due to asset ownership becoming more and more cash-heavy,” Kaul observes. Moving ahead, the scrappage policy, which aims at scrapping trucks older than 20 years, would aid demand when implemented (likely to coincide with the implementation of BS VI norms in fiscal 2021). “We await the final policy after the second round of consultation with stakeholders and it remains a key monitorable, Gandhi concludes.